Since 1944, Rockford Map Publishers has produced land ownership maps for counties throughout the United States. With over 750 counties and 4,800+ editions researched and published, our library is the most comprehensive plat information record of its kind in the country. Though our plat maps are updated quite differently now, we are still recognized as the industry leader when it comes to publishing the most accurate and preferred plat map products on the market. 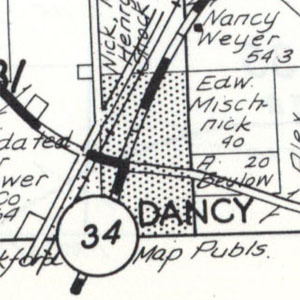 All of our county plat maps these days are updated using GIS mapping software, but this was not always the case. If you were to look at a current map and a historical map, the first thing you would notice is that the older map is hand drawn. Lay these maps side-by-side and you’ll surprisingly see that the map features line up almost perfectly. So how were cartographers able to create such accurate maps? Counties were initially mapped using aerial photography. Large aerial township photographs (approx. 2’ x 2’) were printed out and taped down to a light table. A polyester film would be placed over the aerials and map features such as roads and waterways would be traced onto the film. 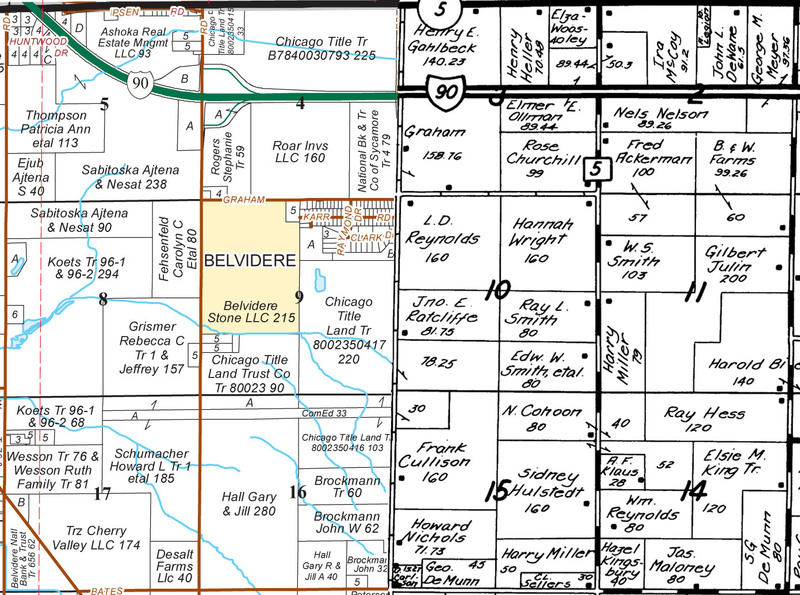 County maps from the Department of Transportation would be used as a reference in the event that certain features were indistinguishable from the aerial image. These plastic, transparent base maps would be fed into a machine that would produce a new paper draft. A researcher would then take the paper draft into the local county courthouse and determine land ownership boundaries. The researcher would then draw in parcel boundaries, owner names, and acreages based on legal descriptions that the county maintained. Once completed, the researcher would pass the paper drafts back to our cartographers. 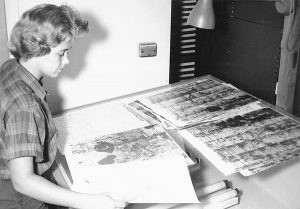 From there, it was the cartographer’s job to take the information on the paper drafts and transfer back to the polyester film base maps using ink pens. This included not only adding the ownership information to the plastic base map but any road titles and special fills. Titles were created with stencils, but all ownership and acreage were done by hand. Special fills, like city boundaries, were created using special patterned tape. The patterned tape was cut to the size of the parcel and then applied to the map in order to create consistency and save time. Once the maps were fully updated and passed quality control, they were sent to the printer. The printer would take photos of the 2’ x 2’ plastic films and shrink them to fit onto an 8.5” x11” page. Advertisements were added to the pages, an owner index was typed, and before you know it a plat book was created! Sounds like a lot of work. How were changes made to future editions? The transparent base maps were saved from each edition and used for future updates. Changes were made by using electric erasers to remove black ink from the base maps. Today’s plat maps are created almost exclusively using GIS data and mapping software. Though the updating process has substantially changed, our accuracy and attention to detail have remained the same! Visit the Buy Now page and view county availability of plat maps from 1944 to present.